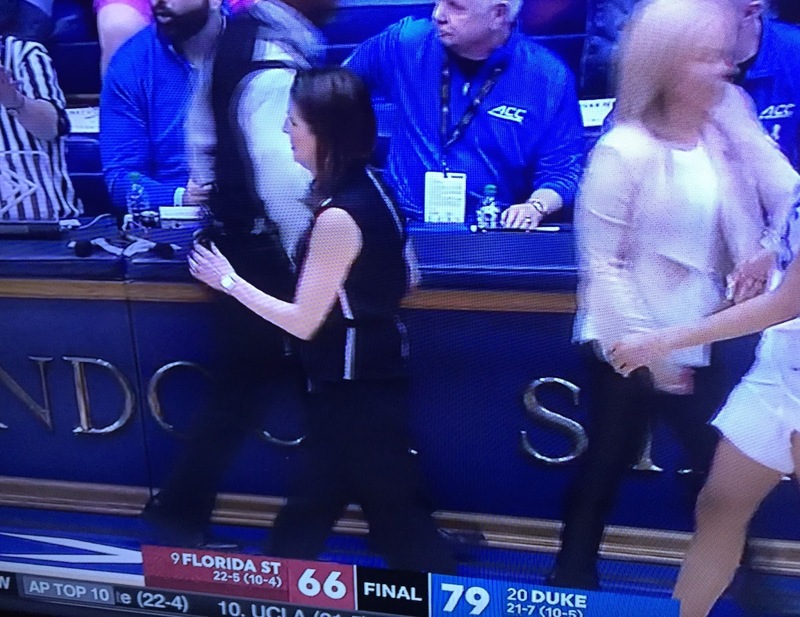 I was rather charmed by the story of Duke University basketball player Erin Mathias, who designed this outfit for her coach Joanne McCallie. You can read all the details here. I do hope the university doesn't mind that I grabbed their photo from Twitter. As you can see, my attempt to capture the event from my television screen left a bit to be desired. Basketball coaches are a rather fashionable bunch--I'm delighted to say--so no wonder that I've become quite the fan, particularly of the women's game. (Somehow this old British chap has lucked into making his home in a women's basketball heaven on earth.) And I must add, huzzahs to design for a good cause! As for young Erin, the emerging designer, one of my favorite details from her story is that she recruited her teammates to model her first collection. You can find her work on her website, here.